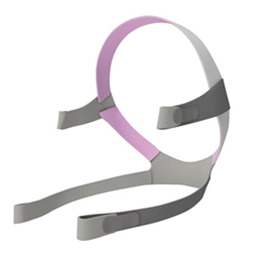 The AirFit™ F10 for Her Headgear fits the AirFit F10 Full Face Mask for Her. Features smaller size. Gray headgear with pink accents.